We will start lining up at 8:30am at Harriet Island Regional Park and march toward the State Capitol beginning at 9:30am. We will have short program on the State Capitol grounds beginning at 11:00am. The route is 1.6 miles long. The route will be accessible for strollers, scooters, and wheelchairs. There will be seating for those with disabilities at the rally site at the Capitol. Students: March from Harriet Island. 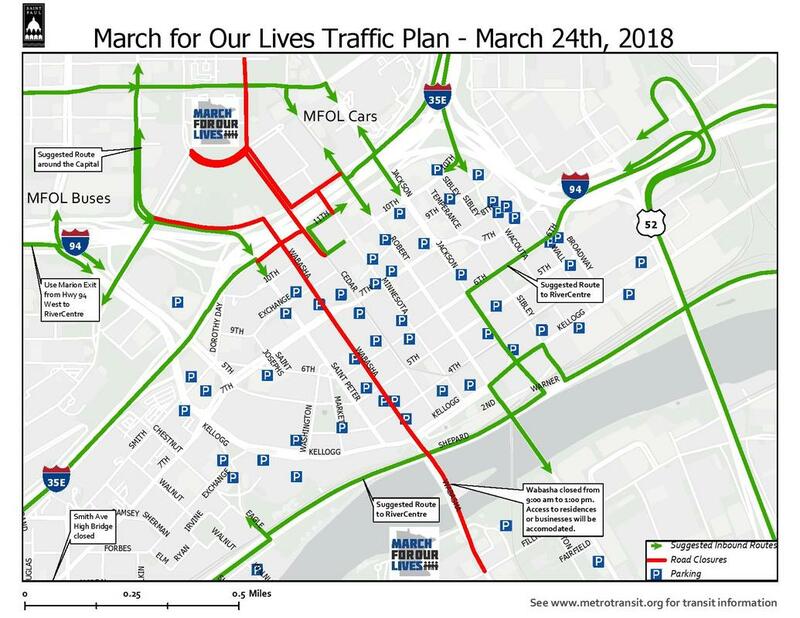 Families: Feel free to march from Harriet Island or anywhere on the route where you're comfortable starting. Groups of adults: Because Harriet Island will be crowded, we encourage groups of adults to go straight to the Capitol to welcome students as they arrive or join them along the march route north of the river. ​You can also gather at the Kellogg Mall Park and join the march from there.